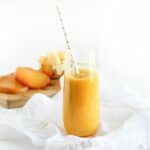 If you’ve been reading my blog for a while, you know that I’m not a huge fan of juices of juicing. I think it’s silly to throw away all the valuable fiber that gets tossed from all fruits and veggies in your glass. However, the other weekend, I was hosting a yoga and brunch event at True Food Kitchen in Dallas, and I tried the most delicious juice made from fresh pineapple, ginger, beets, and turmeric – all the ingredients in this yummy elixir. It was so refreshing and flavorful that I just knew I had to re-make it. 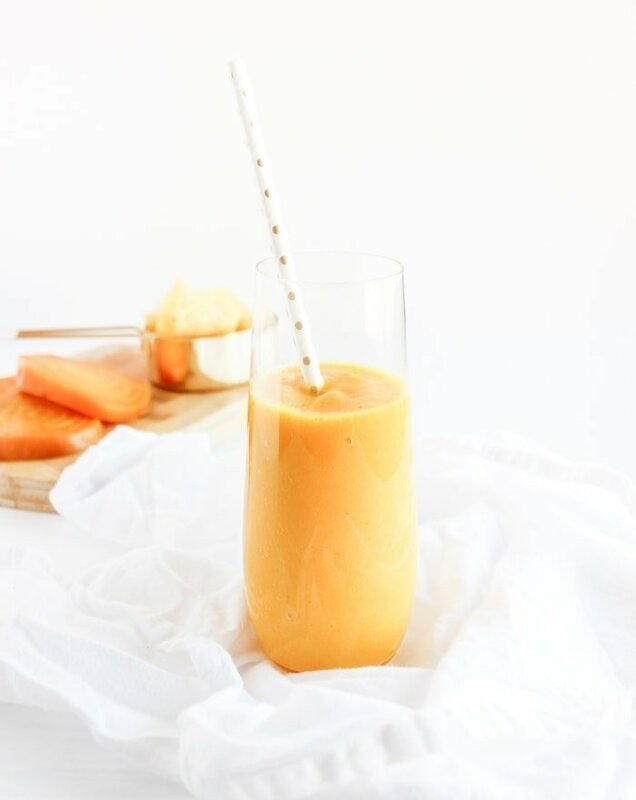 Of course, I decided to blend everything together and keep the fiber-filled pulp for this pineapple beet turmeric juice to make it more filling and nutritious without having to use up an entire pineapple for one glass of juice. 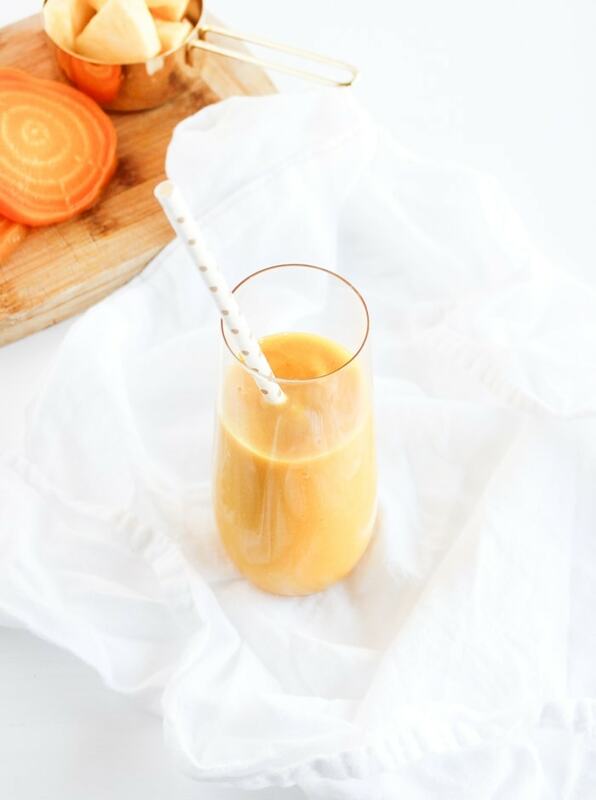 Not only does this delicious pineapple beet turmeric juice provide a serving of both fruit and veggies, but it also has the immune-boosting combination of turmeric, ginger and honey. It’s the perfect anti-inflammatory, antioxidant-packed way to give your body a little boost to ward off any lingering cold and flu germs this season so you can stay healthy heading into spring! 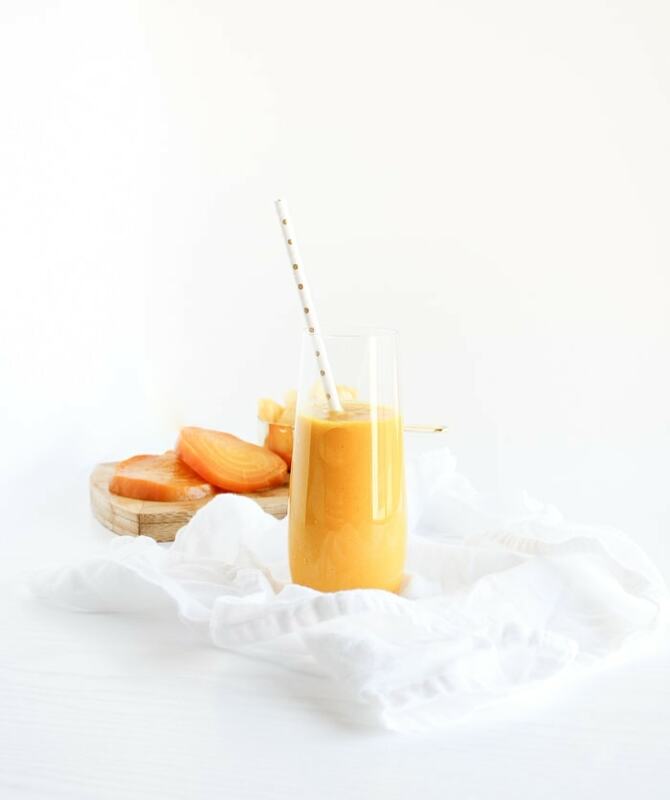 If you still want just juice, instead of a fiber and pulp-containing drink, you are more than welcome to run this elixir through a strainer. You won’t get as much of the good stuff, but if a taste is all you need, be my guest. Cheers! Peel skin from cooled beet. Add to a high powered blender, such as a Vitamix or Nutribullet, with remaining ingredients. Blend until smooth. Add additional water to reach your desired consistency, if you’d like. *Cook a batch of beets and leave in the refrigerator overnight for the easiest prep. this color!! was a little thrown at first because i was only thinking of red beets, and then was like, duh, yellow ones exist. this sounds like it’d have a really good balance between sweet, tangy and spicy. Thanks for stoping by Heather! It is a fun combination of flavors. Enjoy! I get them at Sprouts. You could also try a farmer’s market or Whole Foods.